President Donald Trump has asserted that 3 million votes may have been fraudulent in the last election, and on Jan. 25, his administration ordered the launch of a “major investigation” into that possibility. While it’s too early to know what the investigation will uncover, we do know there were many documented discrepancies during the election that warrant a closer look, and experts say existing vulnerabilities in the election system would have made fraud easy. In Florida’s Broward County, one of the swing counties, election employees were allegedly caught filling out stacks of stolen absentee ballots. This was described in a Nov. 3, 2016, affidavit filed by Chelsey Marie Smith, a former employee of the Secretary of Elections Department. In Philadelphia, state Attorney General Bruce Beemer said his office was investigating a “pattern of voter registration irregularities” across Pennsylvania. CBS Pittsburgh reported on Nov. 4, 2016, “agents say a company called FieldWorks was paying people to register voters,” and “that company may have required workers to meet a quota.” Some of the registrations had addresses from non-existent locations, according to Republican Rep. Pat Meehan. Police raided the FieldWorks offices in early November looking for documents used to “construct fraudulent voter registration forms.” The Pennsylvania Attorney General’s Office suspected “tampering with public records or information,” or violations of an act regulating military and overseas ballots. In Pittsburgh, some Trump voters reported seeing their ballots switch on screen to Hillary Clinton, according to a Nov. 8, 2016, story from CBS Pittsburgh. In Georgia, federal officials are investigating suspicions that the Department of Homeland Security (DHS) hacked the state’s government network, including its election system. DHS Inspector General John Roth issued a letter on Jan. 17 asking Georgia’s secretary of state for detailed web and network logs connected to 10 separate attempts to breach the systems between February 2016 and November 2016. In Detroit, voting machines in more than a third of its precincts registered more votes than there were voters. The Detroit News reported on Dec. 12, 2016, that “it’s unclear how many votes were added in Detroit,” since county officials had not tabulated how much the ballots were off. Michigan is now replacing all its voting machines—a process it expects to complete by August 2018. 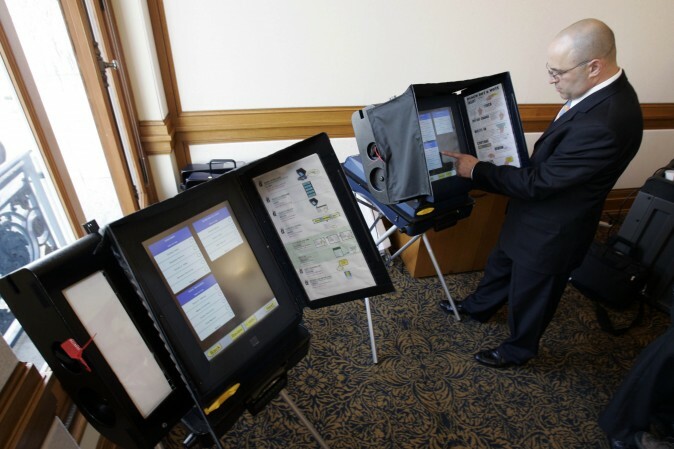 According to James Scott, senior fellow of the Institute for Critical Infrastructure Technology, the voting systems are vulnerable enough that surface-level voter fraud is no longer necessary for someone looking to alter an election. “All you need to do is say, ‘I’ll give you $500, and you give me this memory card at the end of the night,'” he said. Then the insider could add simple code to alter the outcome of votes in a handful of swing counties. Video investigations from Project Veritas have shown the willingness of many polling site workers to commit crimes, such as advising people how to perpetrate various forms of voter fraud. Clinton could have received over 800,000 votes from non-U.S. citizens on Nov. 8, 2016, according to research from political scientist Jesse Richman of Old Dominion University in Norfolk, Virginia. 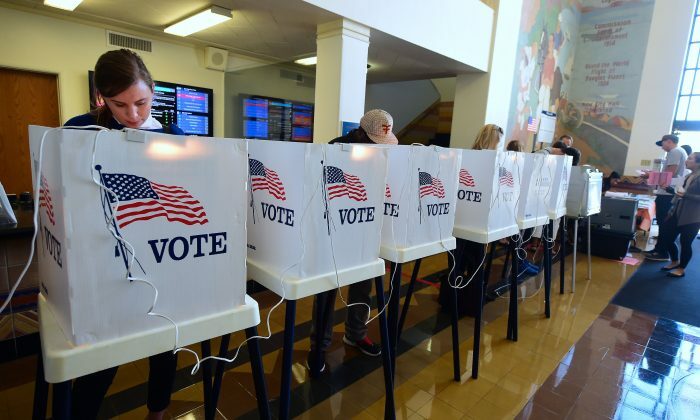 Based on voting statistics, he calculated that “6.4 percent of non-citizens voted, and that of the non-citizens who voted, 81.8 percent voted for Clinton and 17.5 percent voted for Trump.” The numbers were extrapolated from a study he co-authored about the 2008 campaign. When [Trump] said there were 3 million fraudulent voters, I think he’s going to find it. It also found that non-citizen voting likely changed the 2008 outcomes in favor of Democratic candidates. 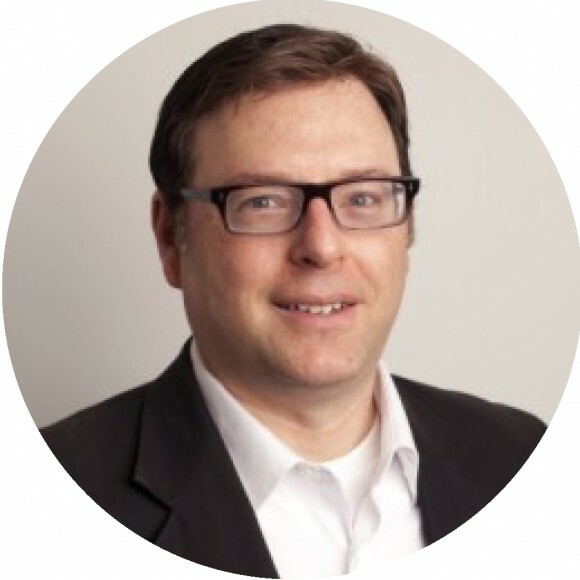 Scott Foval, former deputy political director at People for the American Way, a progressive advocacy organization, lost his job in October 2016 after telling an undercover journalist with Project Veritas how he could commit voter fraud. “It’s a very easy thing for Republicans to say, ‘Well, they’re bussing people in.’ Well, you know what? We’ve been bussing people in, to deal with you [expletives] for 50 years, and we’re not going to stop now. We’re just going to find a different way to do it,” Foval says in a video. 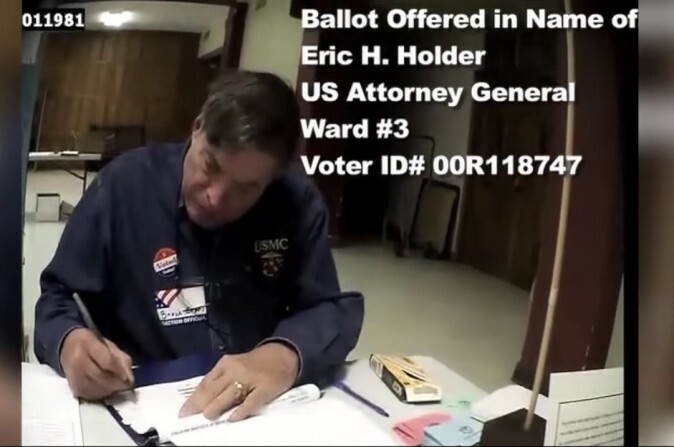 A Jan. 27 compilation video, also by Project Veritas, shows cases of voter fraud its researchers have documented over the last five years, including the recent election. The video includes footage of Democrat organizations agreeing to commit voter fraud or providing guidance to commit voter fraud. In an Oct. 11, 2016, undercover video by Project Veritas, Alan Schulkin, then commissioner of the Board of Elections in New York City and a Democrat, states: “People don’t realize, certain neighborhoods in particular, they bus people around to vote.” Schulkin was fired after the video came out, according to Project Veritas. Gary Miliefsky, CEO of counterintelligence technology company SnoopWall, believes the largest loophole in the elections was the lack of voter ID laws. As of December 2016, 19 states have no voter identification requirements, while 16 states require voters to present photo ID, and another 15 accept other non-photo ID. Based on that alone, “when [Trump] said there were 3 million fraudulent voters, I think he’s going to find it,” he said. Aside from documented cases of fraud exploiting voter ID loopholes, new forms of cyberthreats would allow anyone with enough money to influence an election, Miliefsky said. For example, personal information from attacks on institutions such as hospitals can be purchased in cybercrime markets for around $10 a piece, he said. Social security numbers and dates of birth can be easily used to cast fraudulent ballots. “If you wanted to perform multimillion voter fraud, you’d get those names and register them,” he said. While it may be difficult to determine exactly how many non-U.S. citizens cast ballots in the past election, loosening voter ID laws does make this type of voter fraud much easier to perpetrate. 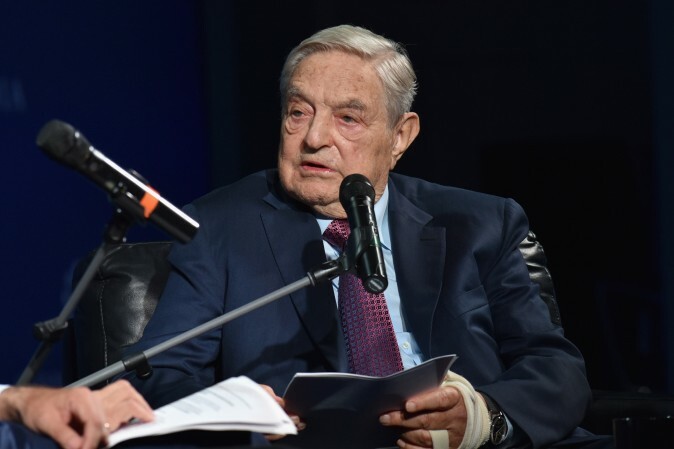 One of the main financiers behind organizations working to block and overturn these laws has been George Soros, the billionaire investor convicted of insider trading in 2011. Soros is a staunch Democratic supporter and has been one of the major forces opposing Trump. Internal documents from Soros groups, leaked by DC Leaks, showed that Soros poured hundreds of millions of dollars into organizations that tried to alter voting laws and sway news coverage to impact the election in favor of the Democrats. Among these were direct actions to reduce voter identification laws. According to PJ Media, Soros funded operations that led to voter ID laws being overturned in North Carolina ahead of the elections, by providing $250,000 to the National Association for the Advancement of Colored People (NAACP).